To a non Northern Neck property homeowner with sufficient wherewithal, there are some practical, real life incentives for moving the idea from daydream to the ‘to do’ list. The primary motivation is what comes first to mind. Just as a waterfront property is a welcome respite from the day-to-day, a waterfront home needs to qualify as a destination that is pleasurable in itself. Where that could be differs for everyone, but whether it be the beach, in a protective cove, or scenic creek , any Northern Neck waterfront home should be a haven inherently suited to relieving the stress of the workaday world. Although it would seem to be properly classified as a pure luxury expense, waterfront homes can be more financially sensible than that. Which brings up some other possibilities. A Northern Neck waterfront home can not only cut down on vacation expenses (hotel and restaurant prices are rising, after all); if rented out some of the time, it can contribute offsets to its cost. To take advantage of IRS rules regarding personal versus rental classification, you should consult a tax expert. Since a quarter of vacation homes are rented out at least some of the year, it’s a tactic that deserves investigation. For an area resident with sufficient resources, purchasing a vacation home can be a practical as well as emotionally sustaining venture. If it sounds like an idea worth investigating further, talk it over with your financial advisor—and I’ll be standing by to help with any and all real estate considerations! I had to share this picture. It was taken over Memorial Day weekend at a pig roast on the Yeocomico River. In the month of April only 7 waterfront homes in Lancaster and Northumberland Counties closed. During that same period of time 35 new listings for waterfront home in those 2 counties were listed. Although the market has picked up in places like Richmond and Northern Virginia supply still outweighs demand on waterfront homes here in the Northern Neck. It’s a buyer’s market and sellers are willing to negotiate. Here are the 66 waterfront homes with at least 3′ of water at low tide and at least 3 bedrooms between $275,000 and $425,000 presently on the market in Northumberland and Lancaster Counties. In the first 2 weeks of November 10 waterfront homes closed in Northumberland and Lancaster Counties. During the same time period 11 new waterfront homes were listed in those 2 counties. This might lead you to believe that demand has caught up with supply but this isn’t true. It is still a buyer’s market here in the Northern Neck. Inventory of waterfront homes is higher than the demand which is great if you are buying. My thoughts are that sellers are really anxious this time of year if their house is still on the market. Usually their expectations are low about the winter market and their thoughts are what will they have to do when spring comes. I personally think this is a great time to make an offer on a property as sellers are usually negotiable. Take a look at the Northern Neck MLS and you might just be able to get more home at a better price than you imagined if you just make an offer. deep sailboat depth water. The villages of Irvington and Weems sit along its shores. Those residents also live close to Kilmarnock, which is by far the best town in the Northern Neck for shopping. Sorry Warsaw, Montross, Callao, Reedville, and even you Lottsburg who can boast of the best hardware store but what else. So what are you getting at Ken? THE PRICE! Property on Carter’s Creek is by far the most expensive in the Northern Neck. This home that is listed at $669,000 would easily be listed at over a million if the zip code were 22480. I just listed a great property. You can see all the details of this Northern Neck Showplace. When opening the link please don’t confuse the opening slideshow with the link, 1246 The Movie. They are 2 separate pages. But then you can just click on the play button below to see to see the movie. Please share post, above link, and video. 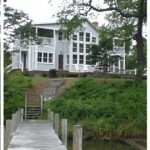 I know there is a buyer for this waterfront home in the Northern Neck and this one is priced right. Where else can you find a quality home with this amount of square footage on deep water for $669k? keys on this computer. Happy Birthday America. I hope you enjoy the graphic. York Times, “After Years of False Hopes, Signs of a Turn in Housing”. that the optimists may finally be right. increasing. Home builders are clearing lots and raising frames. probably be slow, and the prices of many homes will continue to decline. Prices are rising but many homes will continue to decline. Does anybody know? prices and most will consider offers. The market has always baffled me. you can see all Northern Neck Properties and search for the one that is right for you. with loved ones. Take a virtual tour. Remember to keep searching the Northern Neck MLS. If you see something you like then please call. I’m here to help. Joe Self Realty, INCKen Smith Agent580 Northumberland Hwy. Coming soon to an internet site near you, “Driftwood Cottage”. A Northern Neck waterfront cottage within minutes of the Potomac River and Chesapeake Bay. Large eat in kitchen, Florida Room, pier, and new maintenance free deck overlooking pristine setting on Headley’s Cove. 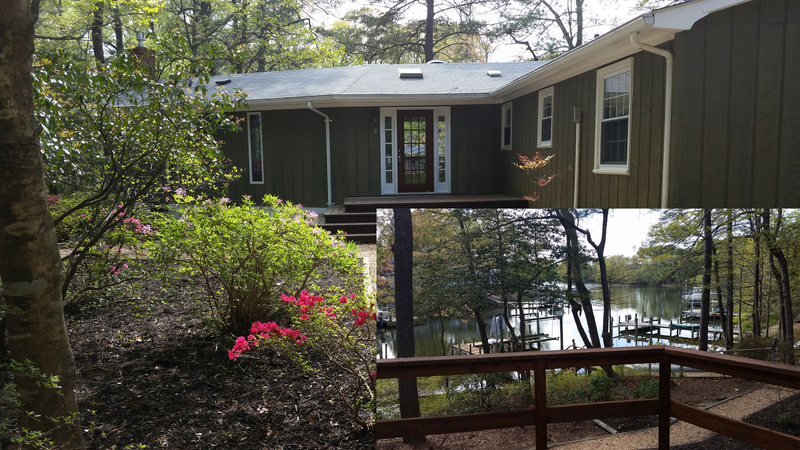 Within 2 hours of Northern, VA this Northern Neck waterfront property is the ideal escape from the hectic life. Enjoy the Northern Neck Lifestyle and easy living. Fish, crab, boat, and dine in all those Northern Neck favorites. Call Ken Smith, Northern Neck Realtor, for more information. I really expect to see sales pick up again this year for real estate in the Northern Neck. It is still a Buyer’s Market and in all price ranges there are deals to be made. If you are looking for a waterfront cottage then you’ll be able to find one at a remarkable lower price than you would have several years ago. This is true for all waterfront homes but there is nothing that can compare to the drop in luxury Northern Neck waterfront homes. 4,000 to 6,000 square foot waterfront homes with expansive views, fabulous kitchens, rooms with detail and built-ins are being sold for just over a million. While that is above my price and most of my clients I know that there is no way these homes can be built for what their market value is today. The luxury Northern Neck waterfront market is an exceptional value for those discriminating buyers that demand the best. If you are one of those buyers, I would love to have the opportunity to represent you as your Buyer’s Agent.